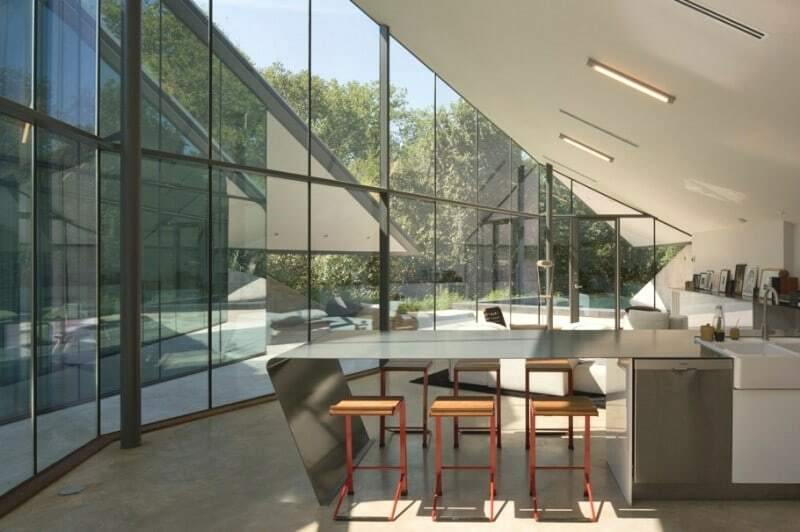 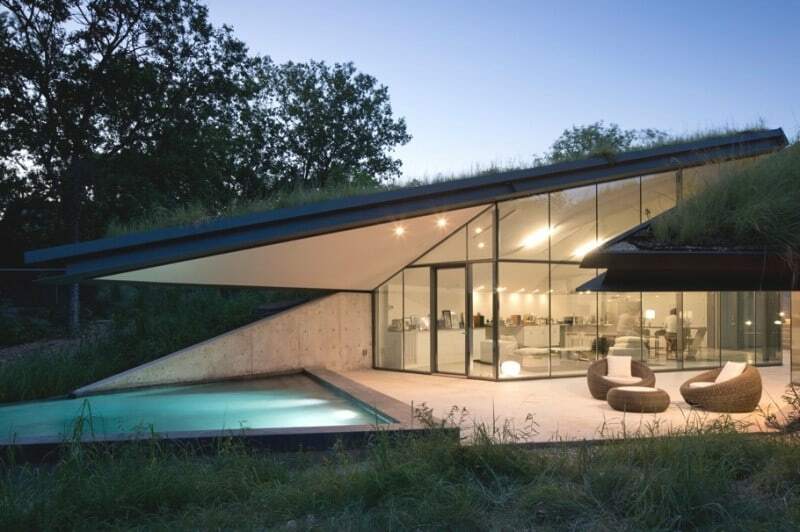 Austin-based architectural practice Bercy Chen Studio have designed the Edgeland House project. 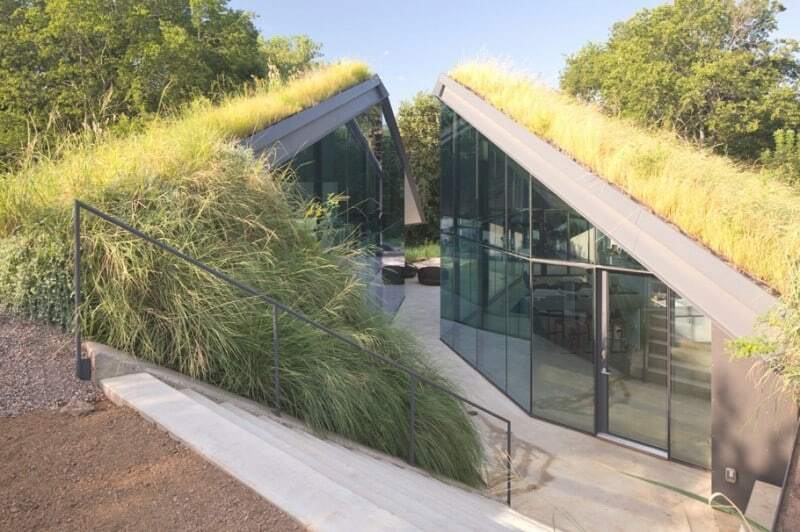 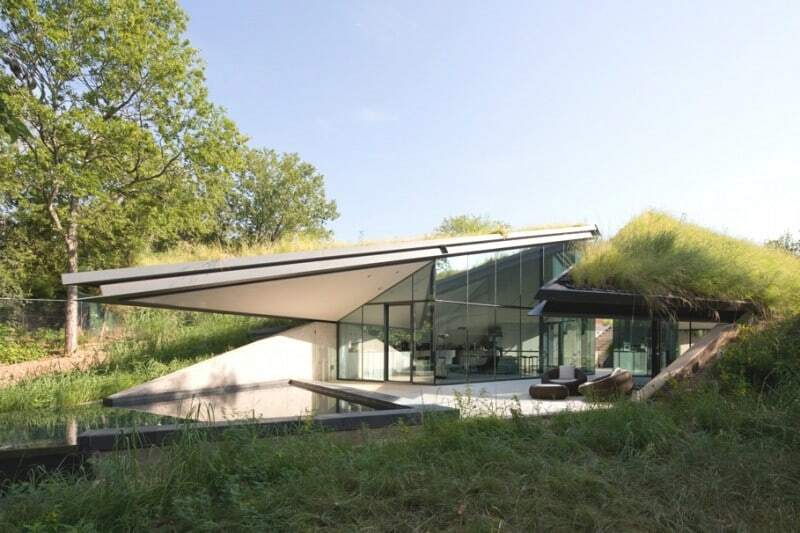 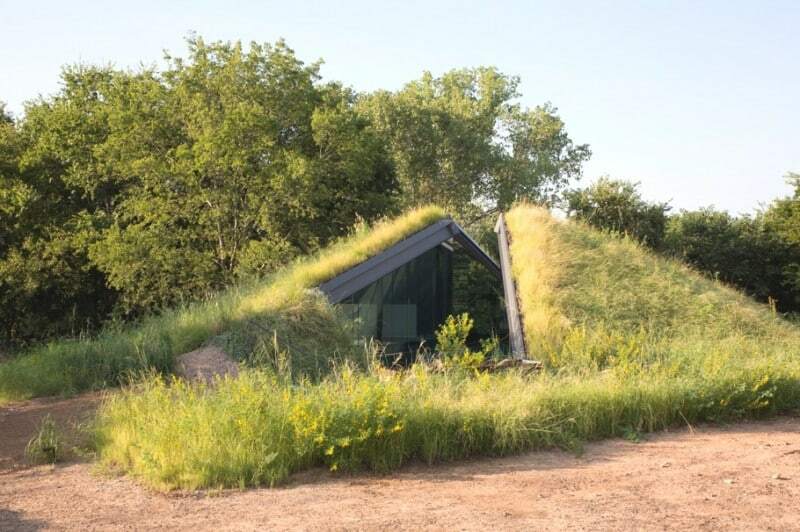 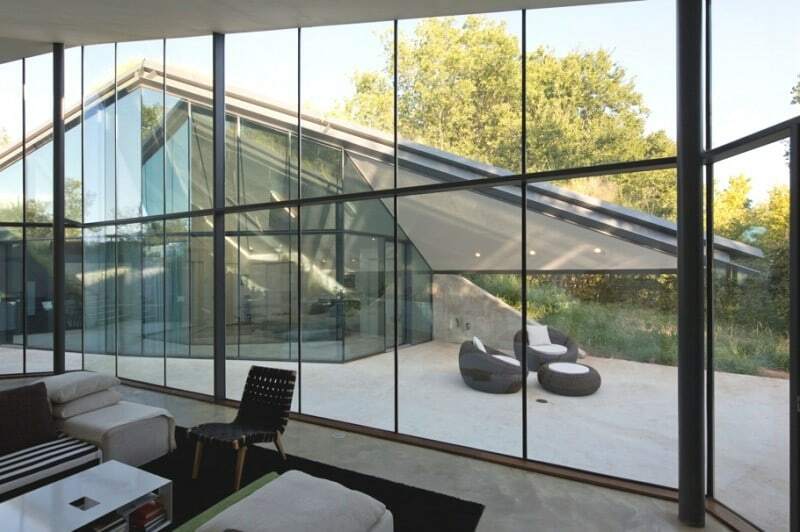 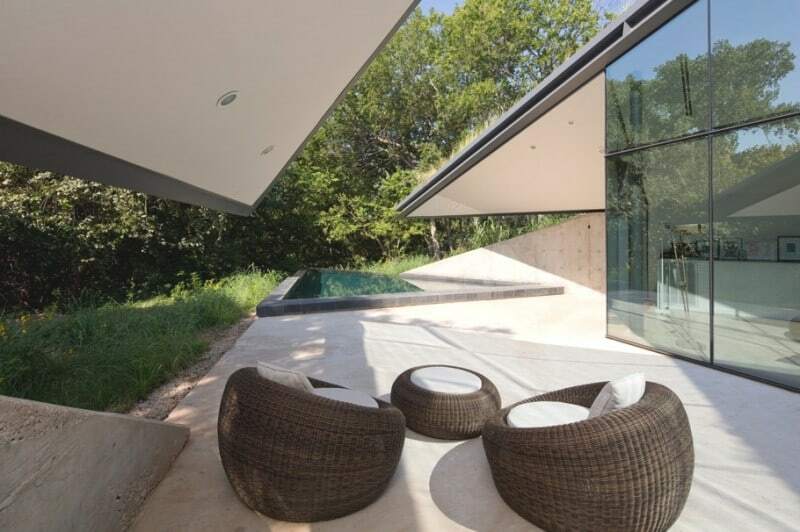 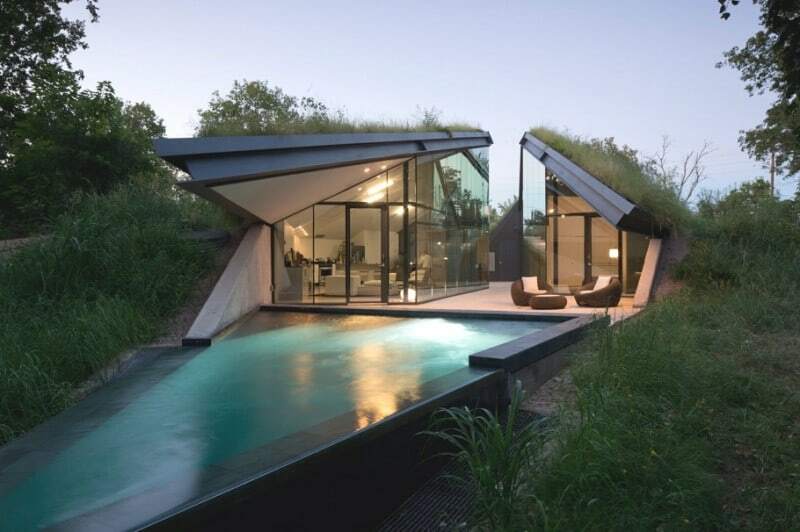 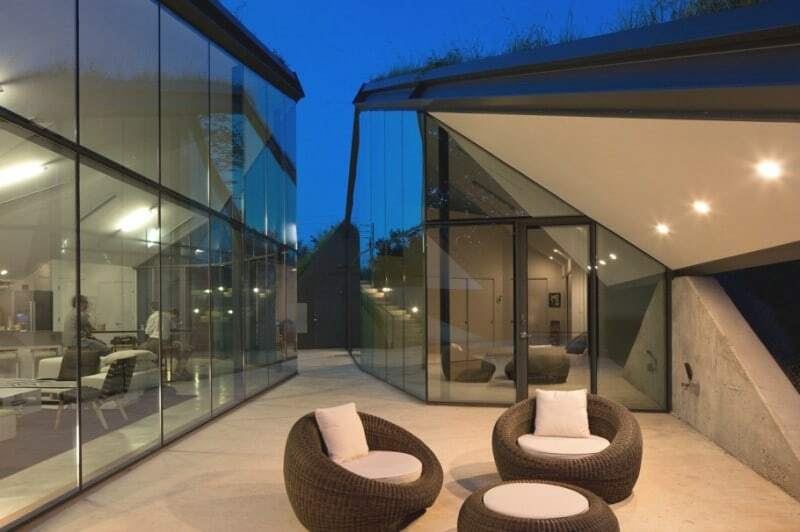 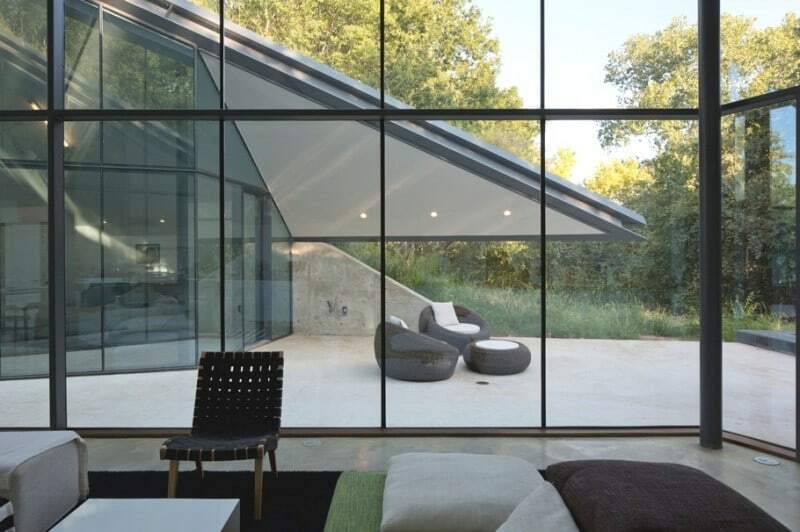 The contemporary property which is hidden under a grass roof can be found in Austin, Texas, US. 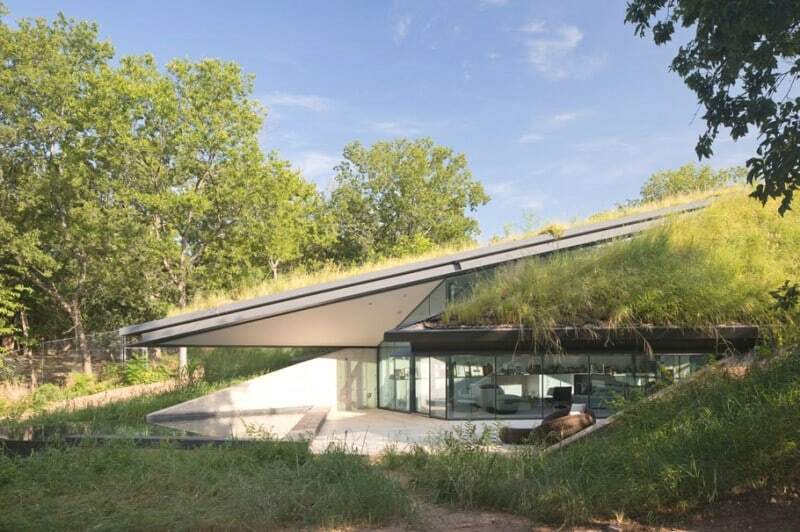 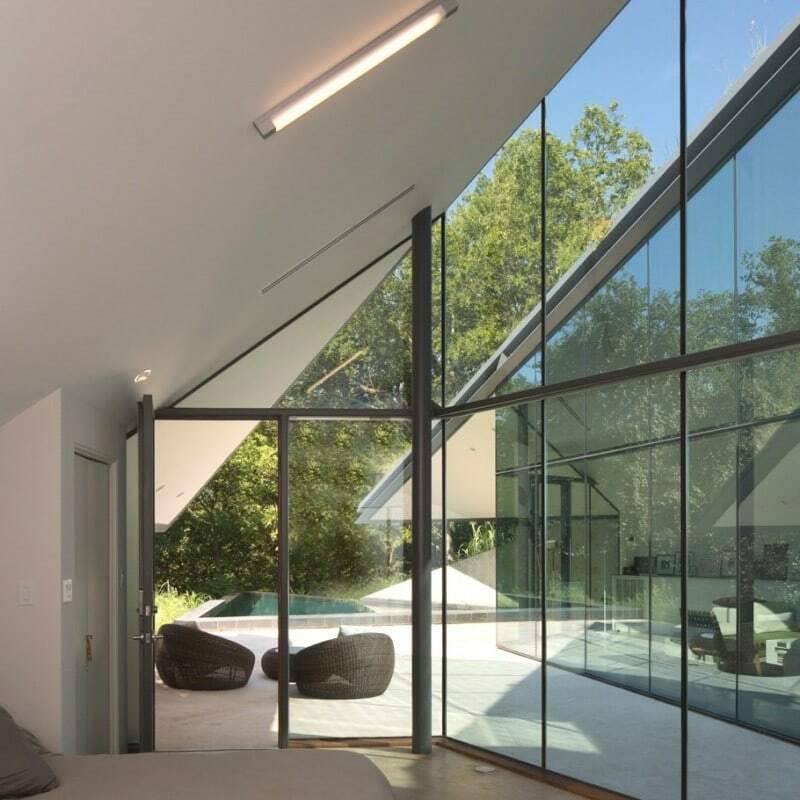 “The contemporary property is located on a brownfield site and is a modern reinterpretation of one of the oldest housing typologies in North America, the Native American Pit House. 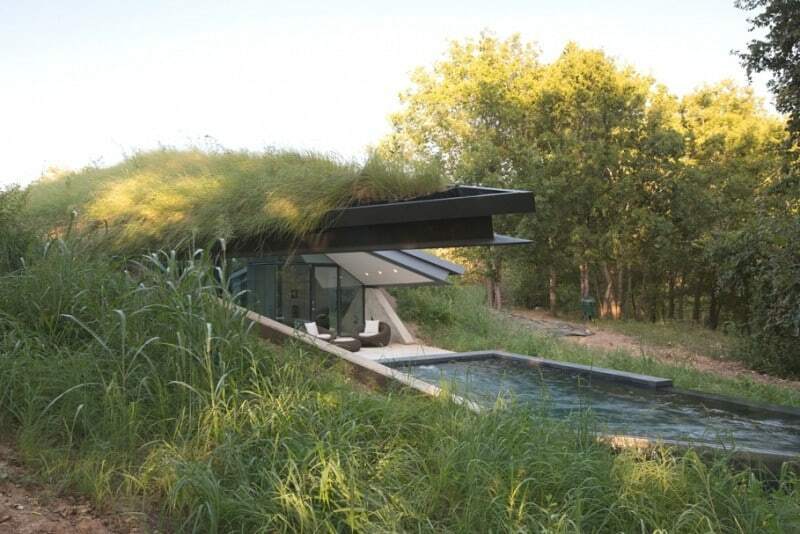 These houses are typically sunken and take advantage of the earth’s mass to maintain thermal comfort. 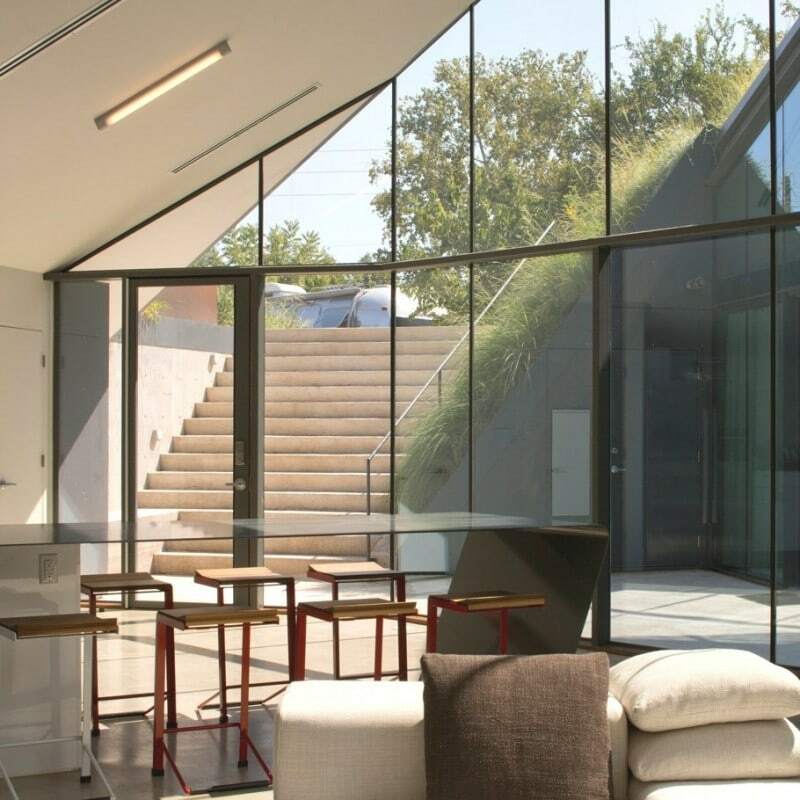 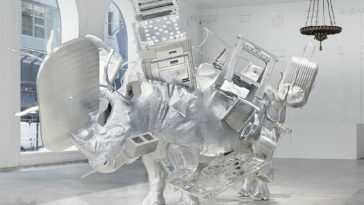 “The contemporary property is about healing the land and ameliorating the scars of the site’s industrial past. 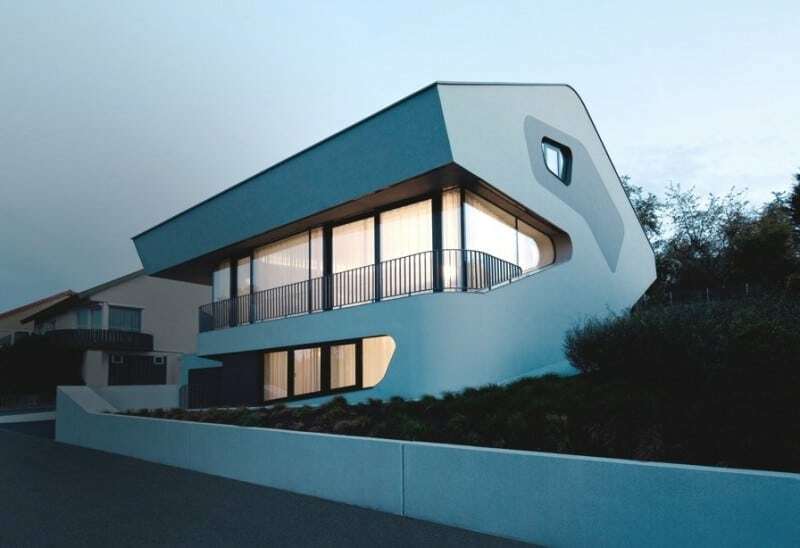 The project raises awareness about a diminishing natural landscape and its finite resources by creating a balance between the surrounding industrial zone and the natural river residing on opposite side of the plot.